Gardner the first of many? 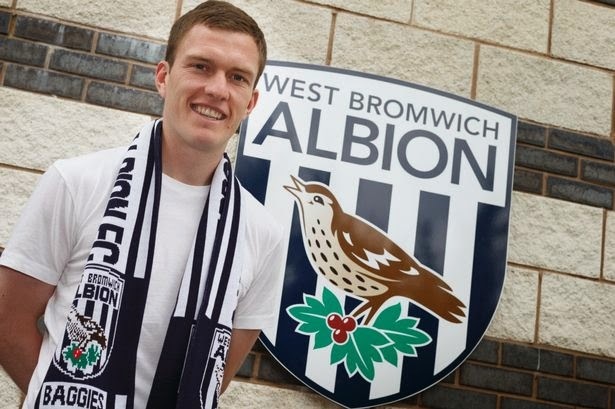 This is going to be a busy summer at West Bromwich Albion. While the World Cup is unfolding in Brazil the club's recruitment team will be burning the midnight oil to find anything up to 10 players to supplement a squad much depleted by players contracts expiring or in the case of those on loan not taking up the option of permanent moves. One could argue the merits of some of those decisions but on the back of a poor run of form stretching to the back end of 2012/13 few fans could argue that the squad needed to be overhauled. The question is can the club get the right players in and can the new Head coach get them to gel into an effective unit? 1. Build a team - The club had a bloated squad of 25 Senior Pro's trumpeted as the biggest and best squad in the Premier League era but no effective first 11. 4. Multiple Targets We got mired in the protracted pursuit of Kalou and when it fell through it was very evident there was no plan B. 5. Target Players on the Up Escalator Only Vydra from last summer's recruits could have been described as up and coming the rest were recruited from backgrounds which suggested plying their trade at the Hawthorns was a bit of a come down. 7. Never Shop at Harrods Last summer we did try to shop at Harrods but with an Aldi budget it didn't work. The dismissal of McDonough and Clarke and the hiring of Terry Burton to oversee recruitment marks a return to the principles that underpinned the club's success in the market. From Burton's comments in the a recent interview in the B'ham Mail it is apparent the squad will be slimmed down and there will be a greater emphasis on developing our younger players. This window there will be focus on quality rather than quantity which should be music to every Albion fan's ears. 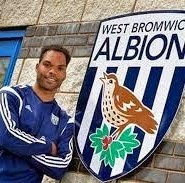 To date we have picked up two players on "free transfers" from other Premier League clubs in Lescott and Gardner. Both add something to the squad Lescott is a hugely experienced defender and Gardner is a midfield all rounder that we have needed for a couple of seasons. My only concern is about their motivation as a move to the Hawthorns does not represent a step up for either player and I hope both are consummate professionals in the Scharner mould rather than egotistical has been that was Anelka. As ever we have been linked with a myriad of players Cresswell, Snodgrass, Robertson Hibbert, Rodwell and Riviere amongst others. How real the club's interest in any or all of these players is hard to tell. Given the absence of any full backs in the squad obviously we are in the market for full backs and probably another striker but after that a lot depends on how Alan Irvine wants to set up his team (see point 1 above). Letting players go that don't fit or are on the fringes of the squad is very much part and parcel of managing the club's playing resources and moving on senior pro's who are not part of the first XI is vital to clearing a pathway for younger players. Two of Albion's most promising younger players have handed in transfer requests both Dawson and Thorne have grown frustrated at the lack of first team opportunities. Whether either merit starting places is debatable but their frustration is understandable and not helped by the fact that the squad got bloated last year. During the first half of the season there was always at least 5 senior players not getting into the match day squad, in that environment it is difficult for youngsters to see a way into the first team. If any of our existing senior pro's do not fit into Irvine's plans they need to be moved on there is no point in retaining players as third choice in their favoured position nor trying to fit square pegs into round holes or keeping a player because he might be useful on the off chance the coach might want to depart from their stock formation. On this basis I would be surprised if all the existing squad make it through the window. There is no value in the Premier League transfers that involve a fee. I think the £8m deals for Snodgrass and Livermore prove that beyond reasonable doubt, there might be an exception but I am hard pressed to remember it across the last few windows. Equally the World Cup is an awful shop window I absolutely guarantee that a player will be snapped up by a European Club on the basis of a few good games in Brazil and completely flop. Gonzalo Jara is having a good World Cup he was released by West Brom and Nottingham Forest for a reason,I rest my case. If not Harrods where? The answer is the continent unless a team is in the Champions League Albion can pay better wages than most of the continental clubs with the exception of some of the Russian and Turkish teams. There is talent in abundance at reasonable prices in Holland Germany, Belgium, Spain, France and Italy not to mention the lesser leagues. The smaller clubs in these markets along with the Championship have to sell to balance their books and as such they are more likely to accept a reasonable offer i.e. they cannot get through a window without selling. The key is to avoid a multi-way bidding war for high profile talent like Bony under these circumstances the price is much more likely to be akin to a Premier League transaction, that is to say devoid of value and loaded with downside risk. I don't think the club will be repeating the mistakes of last summer, however as ever I think the fans who crave high profile signings with the big fees will be disappointed. Unless they are a very dedicated follower of every European league many of Albion's potential signings will need to be Googled by fans to get a some idea of who we have been linked with. Equally until the window closes at the end of August will we have the full picture of what the squad will look like. I will venture it will be better balanced and smaller than last year's but aside from that I would not try to second guess it's composition.